With 8 watts power coupled with a 2 ¾" aluminum reinforced speaker cone, crystal clear and undistorted voice reproduction is what you can hear. 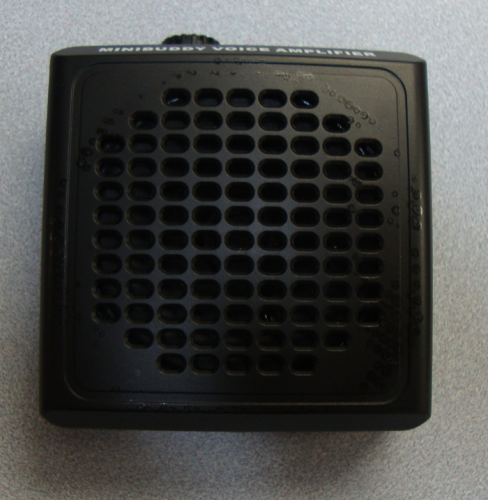 The voice amplifier weighs simply 175 grams but is packed with most complex circuitry designs to ensure simple operation. Easy to use and ergonomically designed for comfort and style. 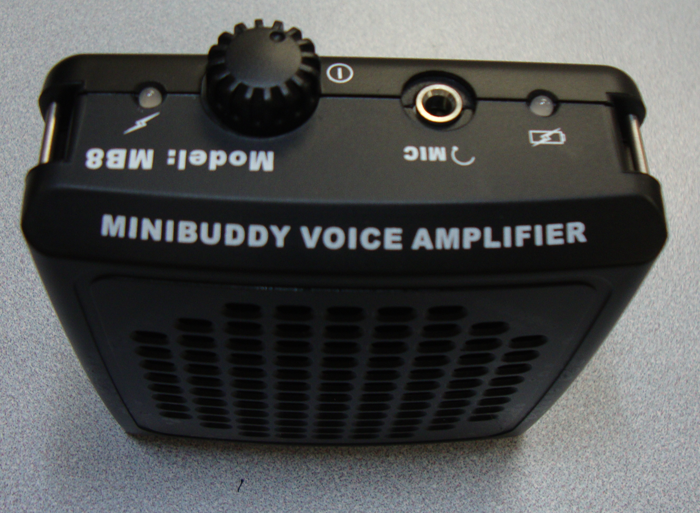 Don't worry about over-charging, as the amplifier will cease charging by itself upon full charge! 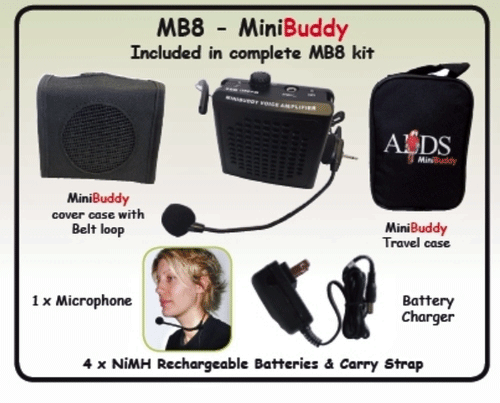 The mini version of the VoiceBuddy. 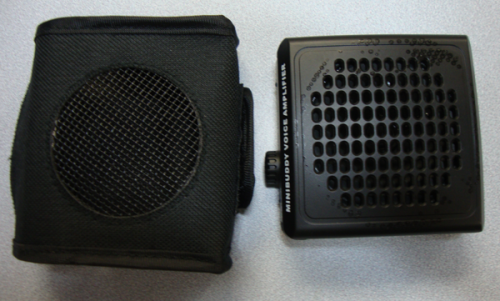 Voice amplification microphones - Add a microphone from this page to the shopping cart. Warranty does not cover damage from accident, misuse or abuse such as dropping, crushing, submerging in liquid, exposure to excessive heat, damage from sharp objects, etc. Warranty problems will be repaired or replaced at our/manufacturer's discretion. Microphone warrranties - 30 days. Sub-miniature, omni-directional cartridge offers superior speech clarity and enhance plosive protection with no proximity effect. 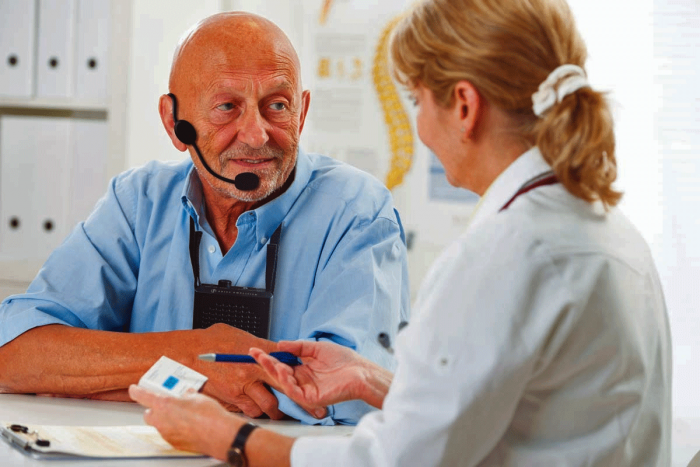 Dual ear headset design provides comfortable fit & ease of adjustment, ensures headset stays in place even during active movements. 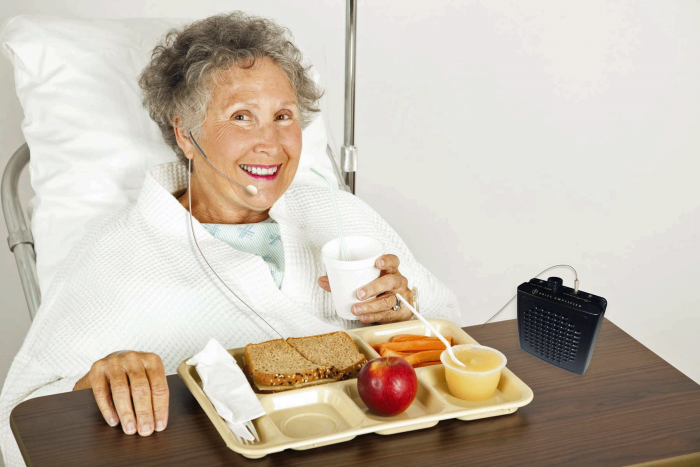 Adjustable headset to fit any head size. Boom microphone could be attached to the left or right side. Omnidirectional pattern pickup of sound allows equal sensitivity from all directions, providing a natural beldn of voice and ambience. Excellent for indoor and outdoor professionals. 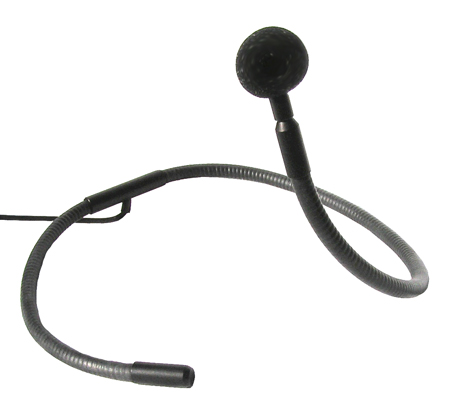 Designed for use on stage, church, computers, surveillance and other applications requiring minimum microphone visibility with hands-free operation. Ultra light weight and easy clip-on style for comfortable use. Sleek, flexible gooseneck wraps easily around the neck. 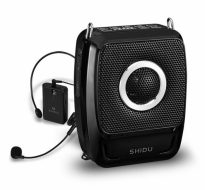 Improved sound in noisy environments.